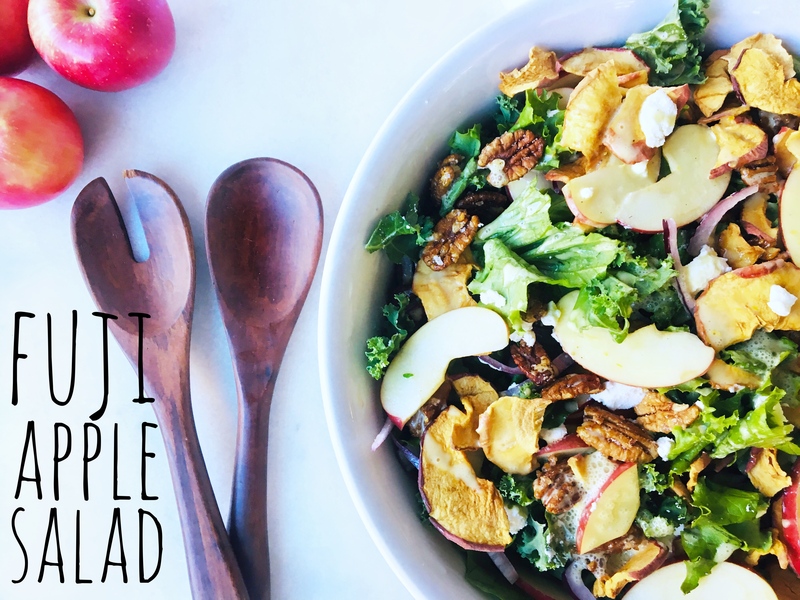 Fuji Apple Salad is a perfect salad for the holidays. It’s a colorful blend that’s bursting with flavor. The lettuce is tossed with two kinds of apples, sugared pecans, red onion and a sweet and tangy apple vinaigrette that’s good enough to drink!